VIAWEB Mobile "The safest". AES 128 encryption. And now compatible with IPv6! Free resources: . Status of the alarm system (activated / deactivated, etc); . 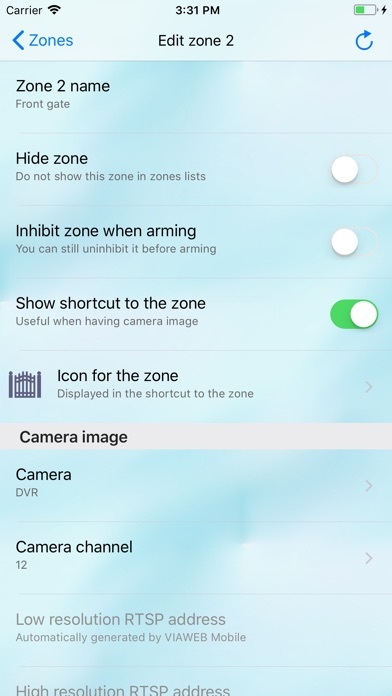 Display of cameras that are associated with the alarm system; . Event report. . Arm / disarm the alarm system; . Enable / Disable automations. . 30-day event history. Paid Resources: . Notifications. . Event history for 365 days. 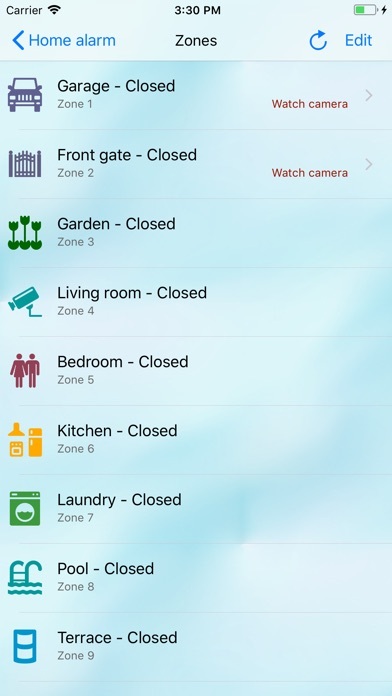 Total access to your alarm system via smartphone Another excellent reason to purchase a VIAWEB alarm system. 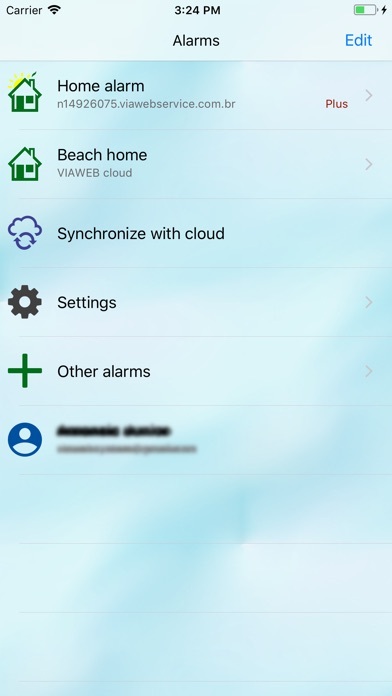 With the VIAWEB mobile application you can operate the alarm of your residence, company, office, beach house, via smartphone or tablet which starts to function as a mobile keyboard. Notifications: You receive a warning in case your alarm triggers, activation or deactivation, at last you are informed of any changes in the system at the moment it occurs. 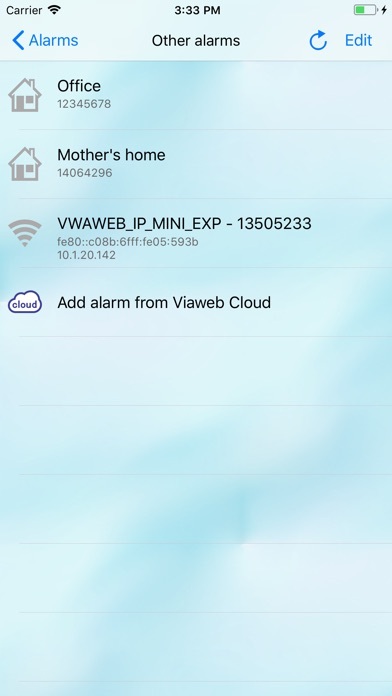 The VIAWEB system offers two ways to access the alarm (s) through the application: VIAWEB mobile with DIRECT technology - Direct connection between the smartphone and the alarm. VIAWEB applications are highly secure because they use 128-bit AES encryption technology, with unique cryptographic password for each alarm. Compatible with VIAWEB IP, VIAWEB GPRS + IP and VIAWEB IP MINI modules. Notifications available in modules version 1.90 or higher. Update the firmware of the module if necessary. VIAWEB mobile with CLOUD technology - for GPRS modules. 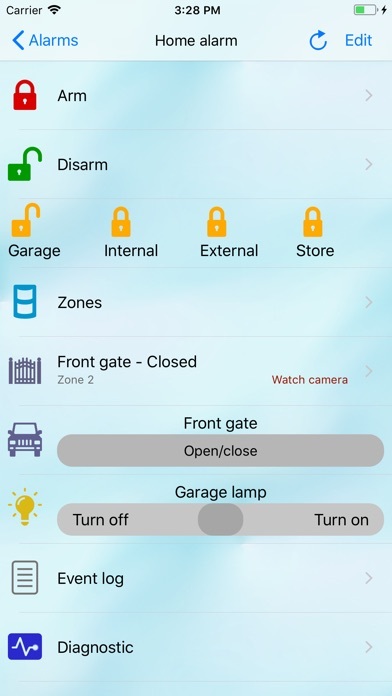 There is no need to set up modems or routers to access your alarm system from anywhere in the world via smartphone or browser. The VIAWEB mobile application with SERVICE technology is compatible with the entire line of VIAWEB equipment monitored via the internet. Main application functions for Direct or Service: . Send notifications: Receive warnings on your smartphone if your alarm goes off or there is a change in the system and you can see a list of events from the last 30 days (365 days in the paid version); . arm or disarm your alarm (s) from wherever you are; . 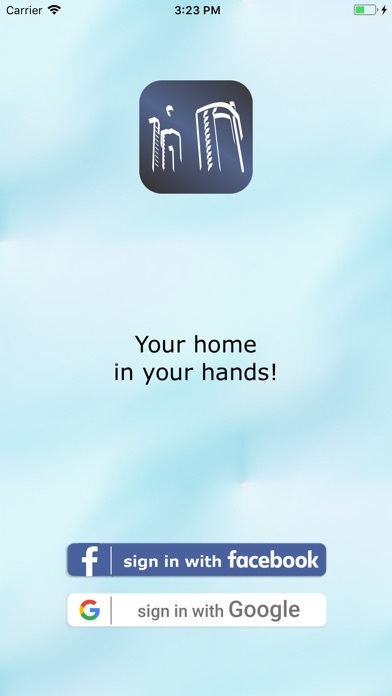 control several alarms with a single application (residence, work, beach house, etc.); . configure automation areas within the application, made through VIAWEB programmable outputs (PGMs); . operating the automations remotely (for example: turning on the lights in the garden, operating a gate, etc.); . inhibit your alarm sectors remotely; . verifying in real time the status of the alarm as a whole, the status of system partitions and supervisions; . 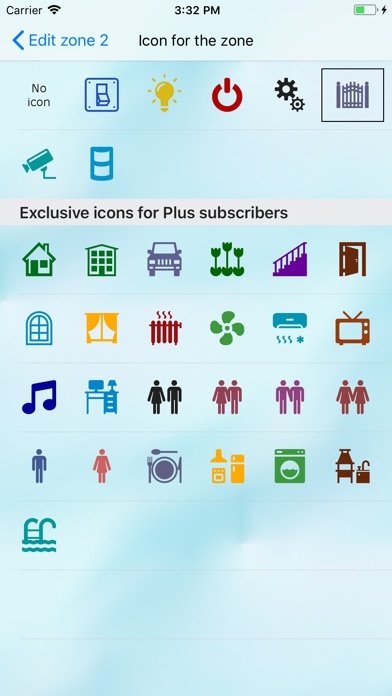 access the alarm via WI-FI or 3G; . in the exchange of device you do not lose the settings. Important notes: The notification system is managed by the manufacturer / maintainer of your smartphone's operating system and is therefore subject to failures, delays, or interruptions. It means that one or more notifications may not be delivered. Keep this in mind during use and consider a monitoring company to increase security and ensure that your alarm events are attended to. Interface péssima, navegação horrível, notificações que não utilizam os nomes das zonas cadastradas. Drena a bateria do celular, enfim, qualquer App genético de alarmes chinês é muito melhor.